· Heat 2tbsp oil in a pan,add garlic,ginger,green chilli,fenugreek seed,hing and stire for 2-3 minutes on low heat. 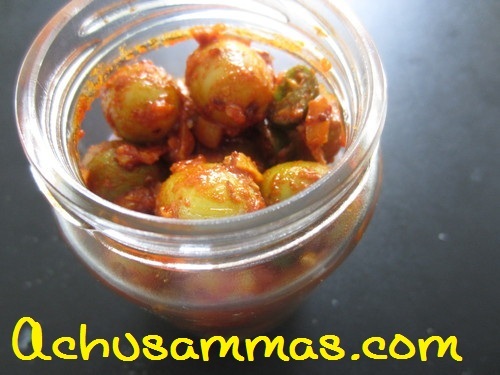 · Then add chilli powder and sauté for 1 minutes. 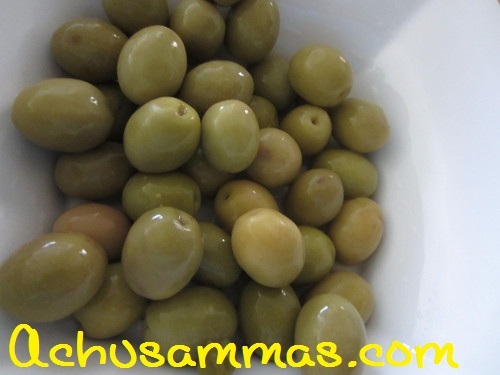 · Add whole green olives (or make a 2 or more slits) and mix with the masala.Take off the stove. · Finally add crushed mustard seed,vinager and mix well.Add salt need more. · Use after 1-3 hours. 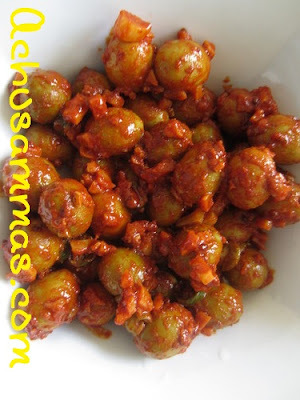 Serve with rice or roti…..
Glad to follow u Girl.. Happy blogging... I am sure you would reach heights of achievement in no time.. Thanks for visiting my space and making me aware of ur blog. Glad to follow u, hope u'll follow me back..
All the best wishes for ur blog.. Thank u all for visiting my blog and commenting..